Carol Monaghan MP has today ramped up the campaign to save Drumchapel Post Office from its proposed closure. 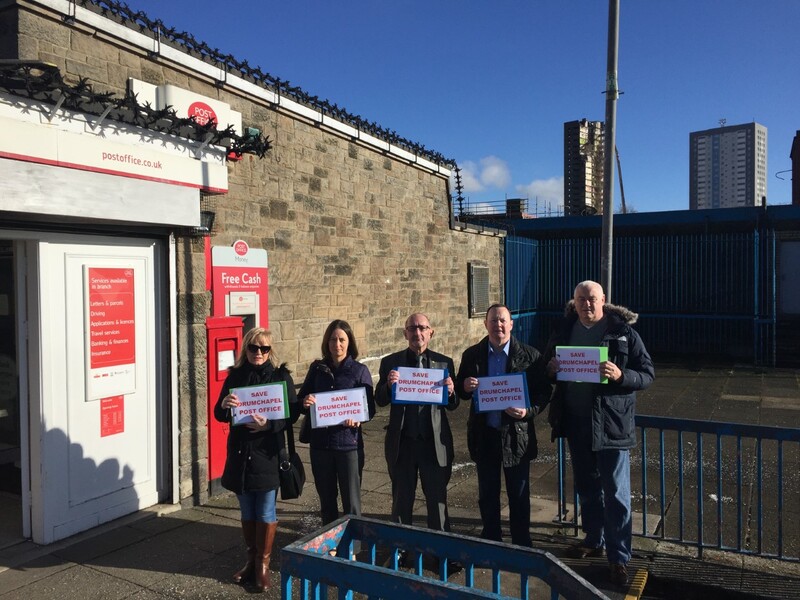 Monaghan joined Bill Kidd, MSP for Glasgow Anniesland, at the Post Office on Hecla Avenue, speaking to local residents about their concerns over the loss of vital local services. They urged locals to sign the petition, calling upon Post Office Limited to halt plans to close the Post Office and ensure that services and jobs are maintained and protected in the local area. 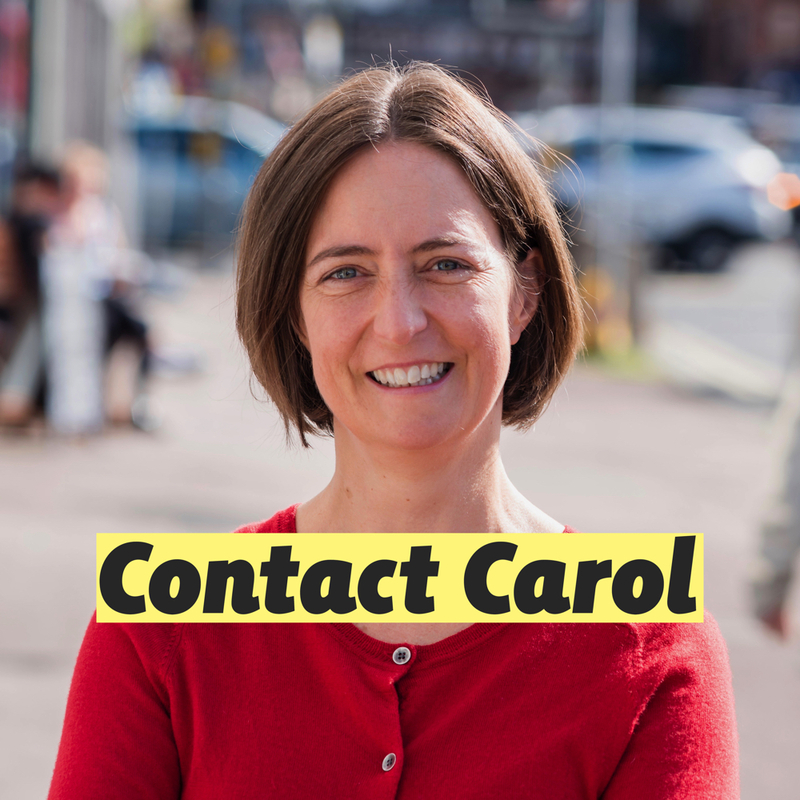 The petition, now with over 400 online signatures, is due to be presented to the UK Parliament within the next few weeks. 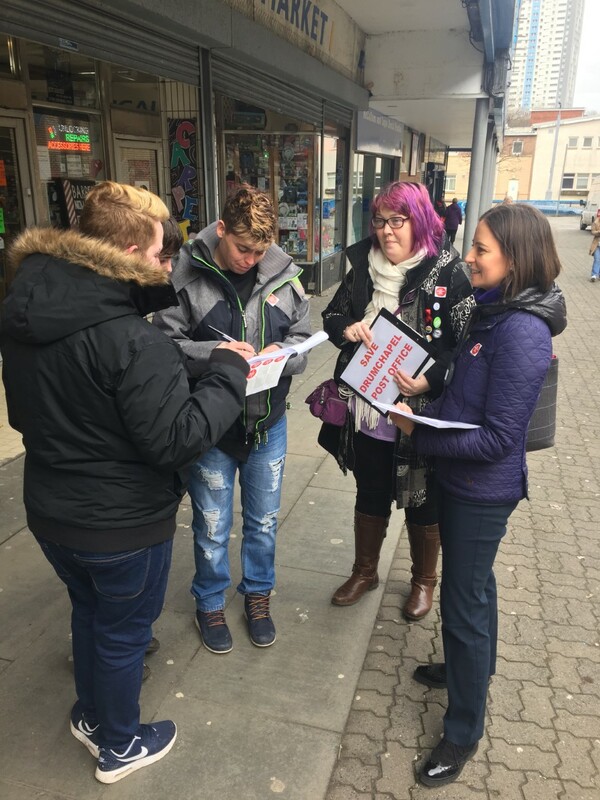 “As the campaign to save Drumchapel Post Office continues, some people are still unaware of its proposed closure and the implications this would have on the vital services it provides.